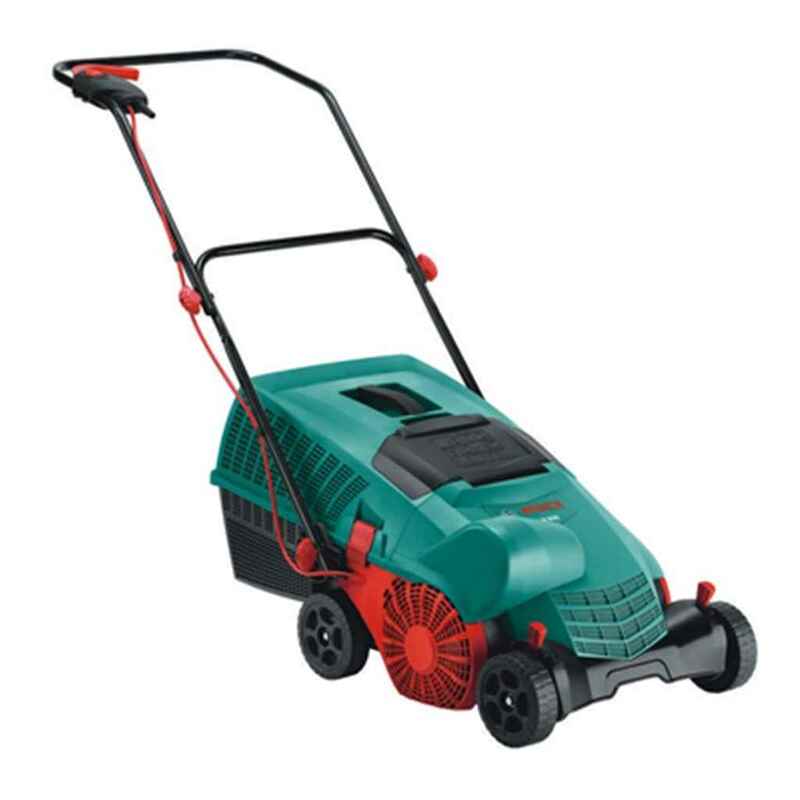 The Bosch ALR 900 Lawn Scarifier is a combination of the Bosch 900-watt Powerdrive motor and the Jet-Collect System this provides fast and clog free lawn raking. The innovative Bosch System combines drum with tines and airflow inlets this offers fast and complete collection of moss and thatch. The large 50-litre grass collection box on the Bosch ALR900 Electric Lawn Rake means less stopping and time to empty it.